Asset reconstruction companies (ARCs), which were in an advanced stage of investing in various stressed companies, will have to wait longer for returns, as all stakeholders go back to the drawing room on debt resolution. This comes at a time when the government is toying with the idea to launch a new asset reconstruction company for the power sector, which is saddled with bad loans worth Rs 2.5 trillion. Analysts said the Supreme Court judgment will slow the pace of loan resolutions that were previously subject to deadlines outlined in the February 12 circular. Most of these loans are either in the insolvency process or are close to the process, with many ARCs leading the race to buy these projects. With the SC striking down the February 12 circular, the milestones for all these companies have moved. According to an estimate, 75 defaulting companies were facing debt resolution under the February 12 circular. ARC officials said they were in an advanced stage to close a few transactions, but due to litigation expected from the existing promoters, they now expect a significant delay. “Things are back to square one. We have to now wait for the Reserve Bank of India (RBI) to clarify on the road ahead,” said the head of an asset reconstruction company. While bank and the Indian government officials have made it clear that the top-40 cases sent for debt resolution in 2017 will not be impacted, litigation on these cases cannot be ruled out, he said. The February 12 circular had impacted power sector companies the most, which led to the government supporting the industry at the Supreme Court. In this backdrop, analysts said the Indian government should set up a public sector asset reconstruction company that would manage banks’ power sector bad debt either by buying the companies directly or by bidding at the National Company Law Tribunal (NCLT) auctions, suggest analysts with Bofa Merrill Lynch. This can cost an additional Rs 68,400 crore. 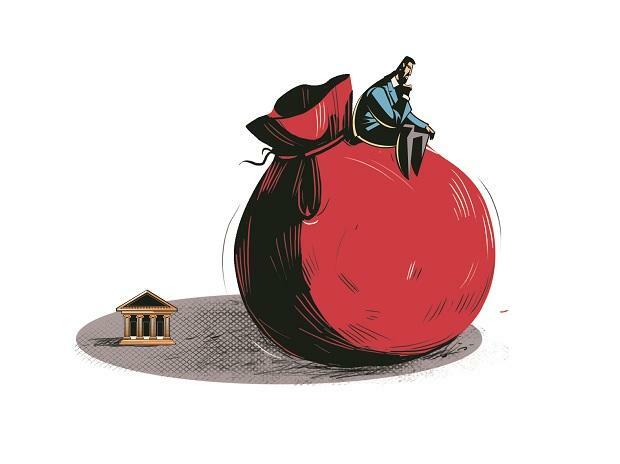 Of the Rs 250,000 crore bad loans, banks have already provided for about 50 per cent. Auctioning these power bad debt will need a haircut of 75 per cent, or another Rs 61,560 crore. Banks can then transfer the Rs 61,560 crore of cleaned-up power bad debt to the ARC and the government could recapitalise PSU banks by an incremental Rs 6,840 crore to enable them to subscribe to ARC or AMC paper, the analysts said. Analysts said so far, the progress of resolution of stressed loans in India has seen limited success. In the top-40 cases identified by the RBI in 2017, that were taken to the NCLT, only about 20 per cent of the debt is resolved. “Even banks’ Samadhan scheme that focussed on Rs 75,000 crore of loans has seen just one of seven cases, ie, 6 per cent of debt being resolved, so far. Even large cases such as Essar Steel and Bhushan Power & Steel have been stuck towards the tail-end of resolution,” said a report by CLSA, a global brokerage company. The banks’ average recovery is 50 per cent through the IBC cases and in many cases the haircut is as high as 85 per cent. ARC officials said due to slow pace of resolution, many banks will come forward to sell their debt to ARCs, so as to free their capital fast and resolve the default account earlier.